"A face only a father could love and a film only a fan could understand"
The pervasive push for graphic novel content being adapted to feature-length films must have Comic-Con fans jumping out of their skin. Once studios get past the comic classics of Superman and Batman, they must rely on motivated fans of these cult figures as their influencers and base audience. The fine line for the creators of these films is staying faithful to the heart of beloved characters like Hellboy. Academy Award-winning director Guillermo del Toro (The Shape of Water) took a crack at bringing Big Red to the screens with limited success, but with the insatiable need for fresh content, the big-fisted warrior gets resurrected a decade later. For those who are not familiar with Mike Mignola’s stone-fisted paranormal investigator, he is a partial demon who was raised from hell by the Nazi occultists. During the ceremony, the American forces manage to stop the Germans from utilising the demonic child for evil and he is adopted by the head of the Bureau for Paranormal Research and Defense (B.P.R.D. ), Professor Broome (Ian McShane). 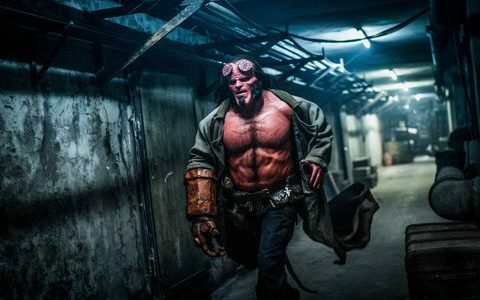 Even though his ‘birth’ was unorthodox and his childhood was unlike others, Hellboy (David Harbour) grew into a massive figure and his indestructibility makes him the perfect weapon to hunt paranormal figures around the parallel universe to our own. 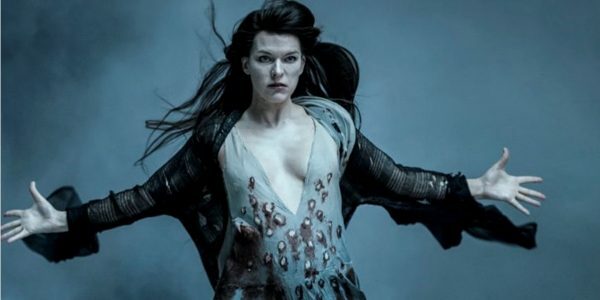 While on a mission to battle giants in modern-day England, he becomes aware of the plans of dark forces who hope to bring the ancient sorceress, Nimue (Milla Jovovich), back to life. She intends to enact revenge on mankind for her physical and spiritual imprisonment. Hellboy must work with the British branch of the B.P.R.D. to find the organisations and individuals behind this evil plan and attempt to stop the destruction of all mankind. The ‘end of the world’ storyline with super-powered individuals as the only means of saving the world may seem like just another night at the cinema, but this is not the case with Hellboy. Mignola’s original vision was a more graphic and bloodier affair than your standard Marvel (excluding Deadpool) adventure and director Neil Marshall has no problem embracing this aspect of the comic narrative. The violence, gore and supernatural elements dominate this film at the expense of the overall story. His vision of the paranormal warrior could even make Ryan Reynolds (Deadpool) ask if there is a limit to the gore and violence in a film. To say that this film is a bloody mess might be a bit on the nose, but it is a wonder if the screenwriter was killed amongst the masses obliterated on screen. The only people that might be able to follow the narrative would be Hellboy's devoted fan base who could fill in the inexplicable plot holes. Guillermo del Toro’s versions may have been a bit more camp and less violent than the graphic novels, but at least he managed to invest in the script and effective editing. If there is an appealing element to Hellboy, he can deliver a well-timed and humorous verbal jab to counter the supernatural violence. Marshall’s interpretation fails to grasp this aspect of the character through poor sound editing and due to David Harbour needing to mumble through his prosthetics. This style of humour is what made Deadpool palatable and accessible, but seems to be a forgotten footnote in this devilish tale. Hellboy has a face that only a father could love and this film could just be one that only the most devout fan could embrace. Throughout the film, different characters mumble about the end of the world, but what might be more appropriate to say is that this might be the end of this franchise.